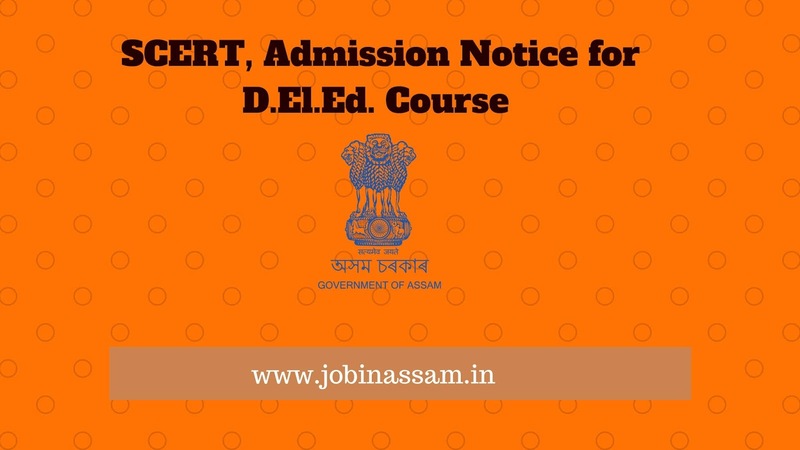 SCERT, Admission Notice for D.El.Ed. 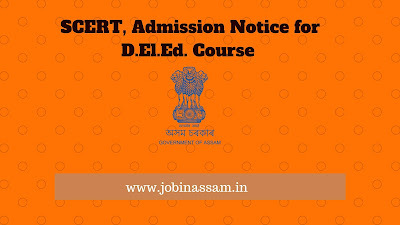 Course for 2019-2021 session || Apply Online Now: Online applications are hereby invited from the candidates who are the permanent resident of Assam to appear in the Pre Entry Test (PET) 2019 for admission into 2-year Diploma in Elementary Education (D.El.Ed.) Course. Interested candidates can Apply only through online mode. Applicant has to go the website given below. Reservation: Reservation of seats for the candidates belonging to reserved categories including OBC/MOBC/SC/ST/Person With Disability (PWD) will be as per existing Govt. norms. Pre Entry Test (PET) & Its venue: The venue for the Pre Entry Test (PET) will be DIET/HS School of a District. However, depending upon the number of candidates the Pre Entry Test may be held in nearby school/college, etc. The venue for the Pre Entry Test will be indicated in the Admit Card of the candidates. Admit Cards: Candidates will be able to download his/her Admit Card from the website from 2nd May 2019 by entering his/her Registration Number and Date of Birth generated during online submission of application.